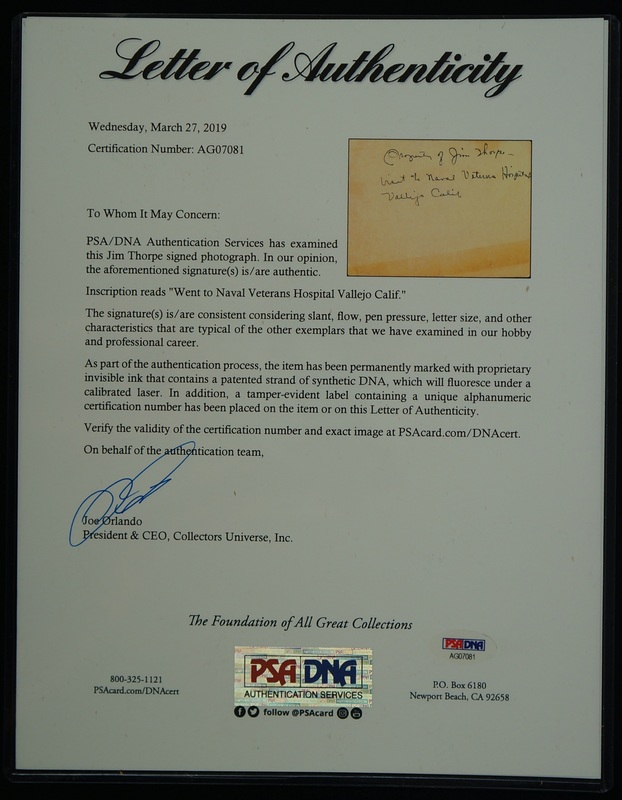 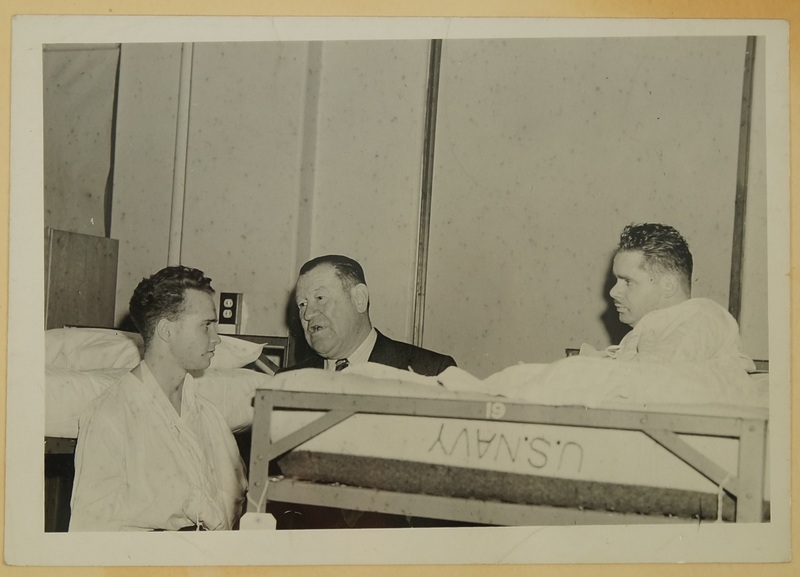 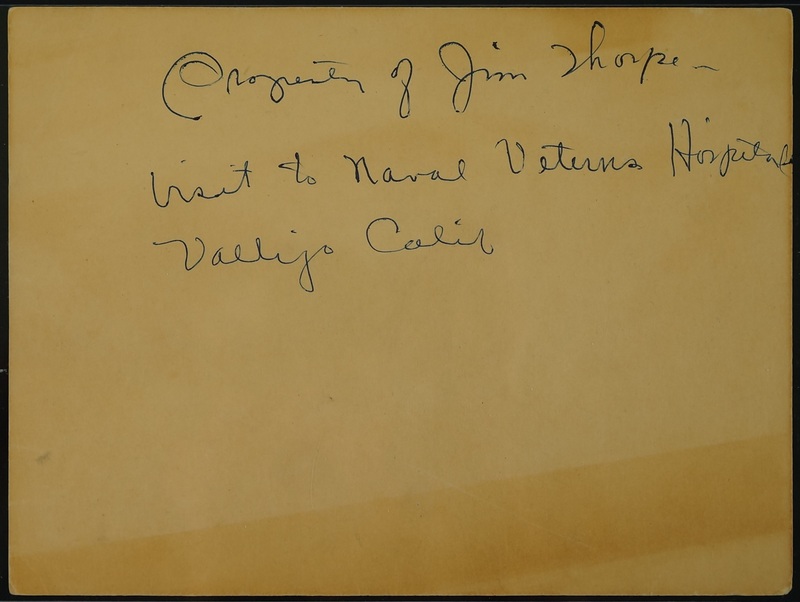 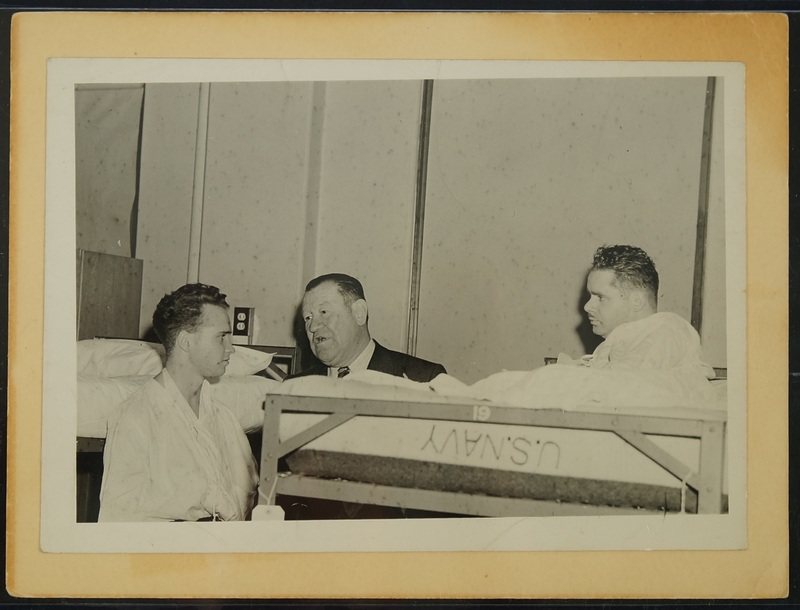 Rare vintage photograph with vintage hard stock paper backing signed and inscribed on the back by legendary all sport athlete Jim Thorpe: "Property of Jim Thorpe, Visit to Naval Veteran's Hospital, Vallejo, Cal." 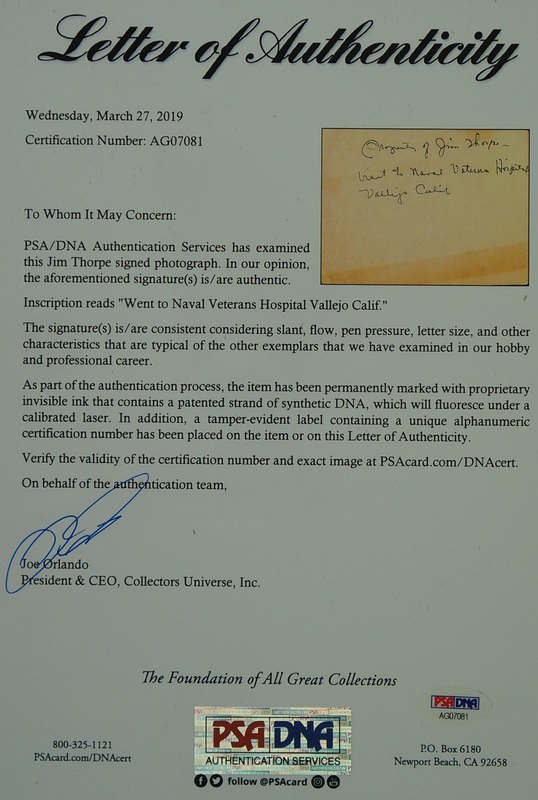 in blue pen. 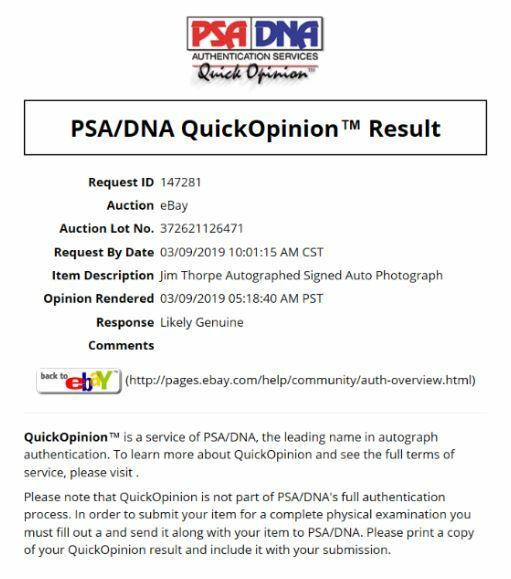 Very rare Jim Thorpe signature with a lengthy, detailed inscription. 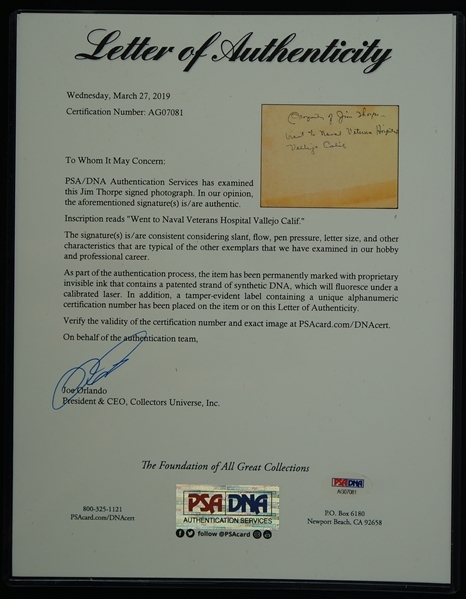 Thorpe is considered one of the most versatile athletes of modern sports, he won Olympic gold medals in the 1912 pentathlon and decathlon and has received various accolades for his athletic accomplishments. The Associated Press named him the "greatest athlete" from the first 50 years of the 20th century, and the Pro Football Hall of Fame inducted him as part of its inaugural class in 1963. 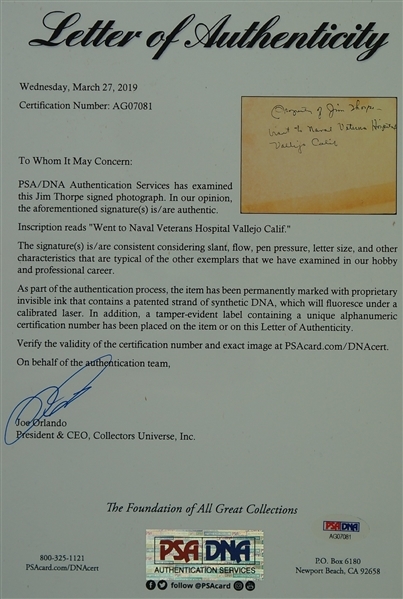 Accompanied by a full, detailed, PSA/DNA Letter of Authenticity PSA/DNA Certification #AG07081). Rare to find such a lengthy Jim Thorpe autograph AND inscription.